We hope you've all had a wonderful time over the summer and you are ready for the next instalment of the Dartmouth Park Film Club. 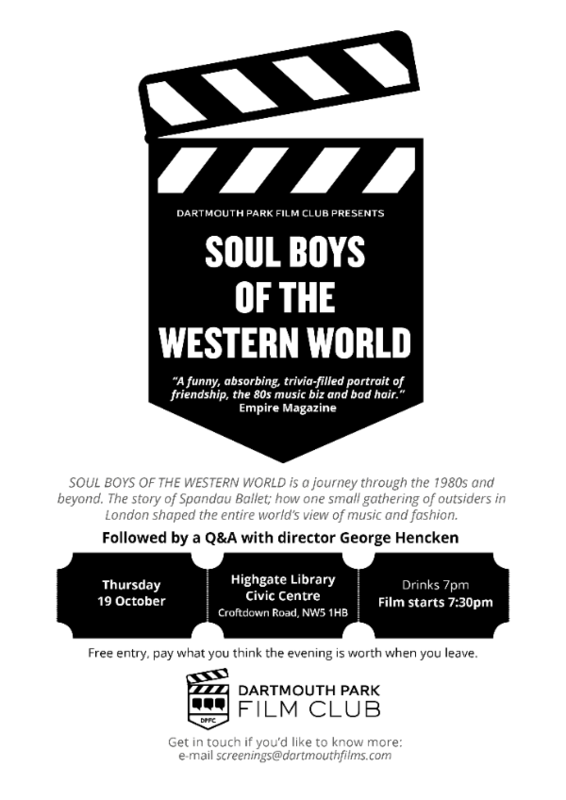 Our next event is Thursday 19th October, and we are really pleased to bring you Soul Boys of the Western World, about local 80s pop icons Spandau Ballet. Directed by George Hencken, it's a poignant and cheeky tale of working-class aspiration and worldwide acclaim. Made entirely from archive footage, it's also a fascinating document of the time. We are incredibly pleased that George will be joining us for a post-screening Q&A. She has produced some very fine documentaries in the last few years, including Julien Temple's Requiem for Detroit and Oil City Confidential. 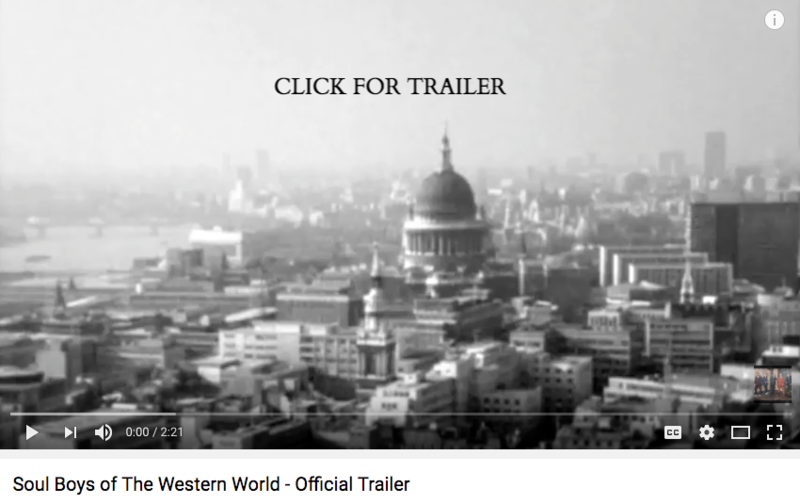 You can watch the trailer for Soul Boys of the Western World below. Hope to see you all there on the 19th, with wine, cake and snacks from 7pm! This year we are really excited to be part of the INTO FILM Festival. This is the world's largest free film and education event for young people presenting 3,000 free cinema screenings, and showcasing over 140 films at more than 600 venues across the UK. At 10 am on 21st November we are showing THEIR FINEST. Described as a comedy/drama/romance and set in 1940 it tells the story of a married woman (Gemma Arterton) and a screenwriter (Sam Claflin) who develop a growing attraction while working together on a propaganda film about the evacuation of Allied troops from Dunkirk, France. It also stars Bill Nighy, Jack Hutson and Richard E Grant. We are sure there is someone in our area who worked on this film. If anyone knows them and thinks they would like to come to talk to the exclusively young audience, tell them to get in touch with Christo at screenings@dartmouthfilms.com.